I have a surface knowledge of a wide variety of topics, and yes it’s true an in depth knowledge of none. Before the internet I thought I knew quite a lot about cars. After the internet I realised how little I knew. That said any number of strange subjects can grab my attention and I’ve always felt that there is never any harm in knowing a little more about anything, no matter what. It never gets any better. It’s just here to remind you. This positive state of affairs has, over recent years become less and less true. I can’t muster any enthusiasm for baking/singing/talent contests on TV. I really don’t feel I need to know about the latest indiscretion of an overpaid footballer. That said, when information is put in front of me I tend to take it in. I like knowing stuff. I especially like knowing stuff about cars. All cars. 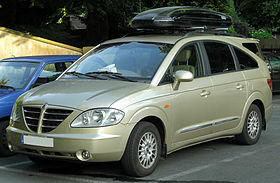 Even the Ssang Yong Rodius. I like knowing that it’s deluded designer (Ken Greenley) wanted it to evoke feelings of a luxury yacht. A luxury yacht? I think he must have taken the blue pills instead of the green ones that morning. I like knowing that it has a MB mill. I like that it engenders passionate conversation (my favourite quote being that it looked like “a collapsing bus shelter”). It may have been the worst looking thing this side of an E65 siebener but it still grabbed my attention and I wanted to know about it. What a terrible rear. I should do one of those twitter polls to see which is worse, this or the Rodius. My money’s on this. These recent years though have been tough. Extremely tough. I do not want to become some grumpy old lad in the corner pining for the past. My passion for these wonderful machines we call cars has been carefully placed on a meat hook in the centre of a cold room. It has been incessantly and viciously attacked by an onslaught of sameness, mediocrity and crossovers. It all started with the ML launched by Mercedes in the late nineties. This was some sort of cat o’ nine tails whipping my delicate sensibilities. My now defenseless love of cars came under sustained assault from what seemed like all comers. The Nissan Qashqui brought a rack and almost stretched it to breaking point. The Hyundai Tuscon became Ireland’s best selling car two years running taking a pikestaff to it’s now weakened torso. I thought perhaps not really being able to tell which Merc was which anymore might have been the holy lance. Not quite though. A tsunami of shite now arrived that I just couldn’t care less about (yes you Audi Q2 and VW T-Roc or Tiguan or Toureg or whatever the hell it is this week) teeing up the last remnants of my morale to be smashed by a baseball bat. I have recently come to a decision. It is with reluctance yet I am certain that this is the correct course of action, the only course open to me. I no longer care. I refuse to take an interest. For the first time in my life I am not going to make an effort to educate myself. Needing to know every last detail of a mildly facelifted model is so last century. Only 18 years late to the party but now I shall revel in my ignorance. Sorry for the despondent tone of my post Richard. Yes there’s a wealth of worthy topics out there that I’m happy to learn about. I just felt a little overwhelmed by the tsunami of crap that seems to bombard me daily. I felt much better after I got this off my chest. Even the Rodius makes me smile and the E65 gets me talking passionately. Some of those cars I mentioned… Meh, I really couldn’t care less. By the way, the Rodius is a much bigger fright than the Bangle 7. You’re probably right Richard, but those Statler eyebrows, duplo door handles, flaccid and flabby flanks, chubby profile and terrible rear, not to mention wheels that really don’t work (even m parallels which normally make any Beemer look better) mean in my book it’s a close run thing. Menheer van Hooydonk’s original E65 is a true horror – however, Boyke Boyer (who was also responsible for E38) did a marvellous job with the facelift, in my opinion. On top of that, I consider E63 a proper guilty pleasure – but that is ‘challengingly interesting’, whereas the Siebener is just challengingly ‘awful’. I blame it on the (lack of) track width, odd light graphics, clumsy c-pillar and the failed attempt at trying to trying to attach the grille above the headlights for a change. Most of which was rectified with the facelift. The Rodious is amusingly awful. Unlike the X6s, GLE Coupés and Audi Q2s out there, it makes me genuinely laugh. Probably because it’s silly, rather than nasty looking. Thanks for the comment Christopher. 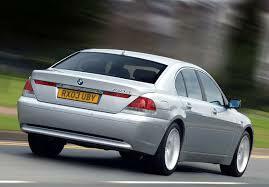 I had no idea that Boyke Boyer had anything to do with the E65’s facelift. This was more a rant than a proper post but as you say at least this car raises passions and instigated conversation as does the Rodiu(o)s. I hated the E63 initially but I’ve come to think that a V12 might be nice. In fairness my interest in cars remains undimmed despite the slings and arrows. Have you been able to repair the cup holders yet? In negotiations with major banks to fund repairs to same. May have to attach temporary cupholders to air vent as repairing both could run to 4 figures! Are cup-holders really so costly? There is also the option of a third mortgage. Also, I keep getting e-mails about working from home and earning hundreds a day. Might I forward one of these? Or, foreign business people often write to ask me to keep a millions of dollars of UN money in my bank account for a few days. It´s easy money, I am told. Rear ones are over 200 but easy to fit. Fronts are 300 and tricky to fit. Easy money sounds good Richard. Are you sure these foreign business people are trustworthy though? Certainly. Mrs Kvame Mitchell (Mrs) is a retired ambassador for the Vatican, she says. And Mr Barnard Bernard works for the World African International Bank of Investment. Both very much need to let money rest in a bank account for a few days. Thanks for the contact Richard. I have emailed both of these eminent people. A simple email with my bank account details and pin number was all they needed to help me out. They were most concerned to hear about my cup holder issue and assured me that I could buy as many as I liked with my 10% of 6.7 million dollars! Money due in my account tomorrow! It´s April. Is the next article finished yet? Yes Richard, my current output makes a wet week in Skegness seem fast moving. I’m going to have to ask my readership to exercise even more patience. It’s coming, give me a couple of weeks!